Dr. Nanci Lebowitz-Naegeli began her career at the New York Presbyterian Hospital/Columbia University Campus. 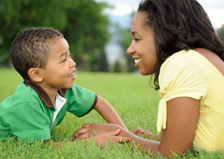 After completing her Child and Adolescent Psychiatry training there, where she was chief fellow in Consultation-Liaison Psychiatry and Pediatric Cardiac Transplant team fellow liaison, she stayed on as medical director of The Alternative Services Program, an on-site elementary school mental health program in Washington Heights and taught Child Psychiatry at Columbia Medical School. She completed her Adult Psychiatry training at Mount Sinai Hospital, also in New York City, her medical education in her home state at the University of Connecticut Health Center, and received her BS in Biology from Carnegie-Mellon University. Dr. Naegeli has been in private practice since 1998. She has pursued advanced training in Psychodynamic Psychotherapy, Cognitive-Behavioral therapy (CBT), Dialectical Behavior Therapy (DBT), Family Therapy and Psychopharmacology. She uses these modalities in her work and is committed to practicing with the highest professional standards. An active board member in the New Jersey Council for Child and Adolescent Psychiatry (NJCCAP), the regional branch of the American Academy for Child and Adolescent Psychiatry (AACAP), she has held several board positions and will begin as president of NJCCAP in January 2012. 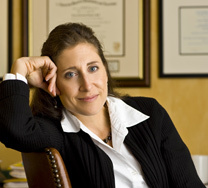 She is dedicated to advocating for children both at the state and national level, and providing continuing education for other psychiatrists and schools in the region. In addition to AACAP and NJCCAP, she is a member of the American Psychiatric Association (APA), the New Jersey Psychiatric Association (NJPA), and the Medical Society of New Jersey (MSNJ). She is dually board certified in both Child and Adolescent Psychiatry and General (Adult) Psychiatry.